Candylab Toys was born out of their desire to revive the glamorous ’60s American modernist vibe and carve it into awesome contemporary wooden toys. 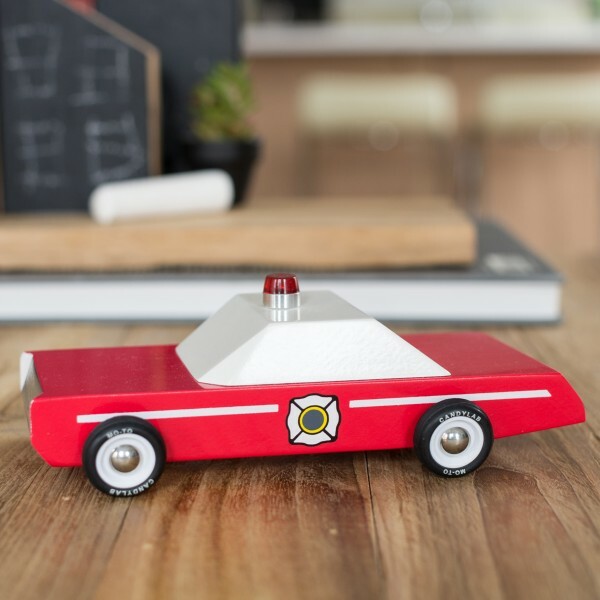 As artists, designers and parents they draw on many influences, not least of which is their deep love of classic American cars and the craftsmanship spirit of mid-century artisan furniture designers. Coupled with the realization that they’re slowly drowning in forgettable toys that break and disassemble — ending in piles of plastic bits — they were determined to create a line of heirloom wood toys that are elegant, durable, and simple, giving children a chance to create their own stories around the objects they play with. 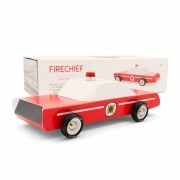 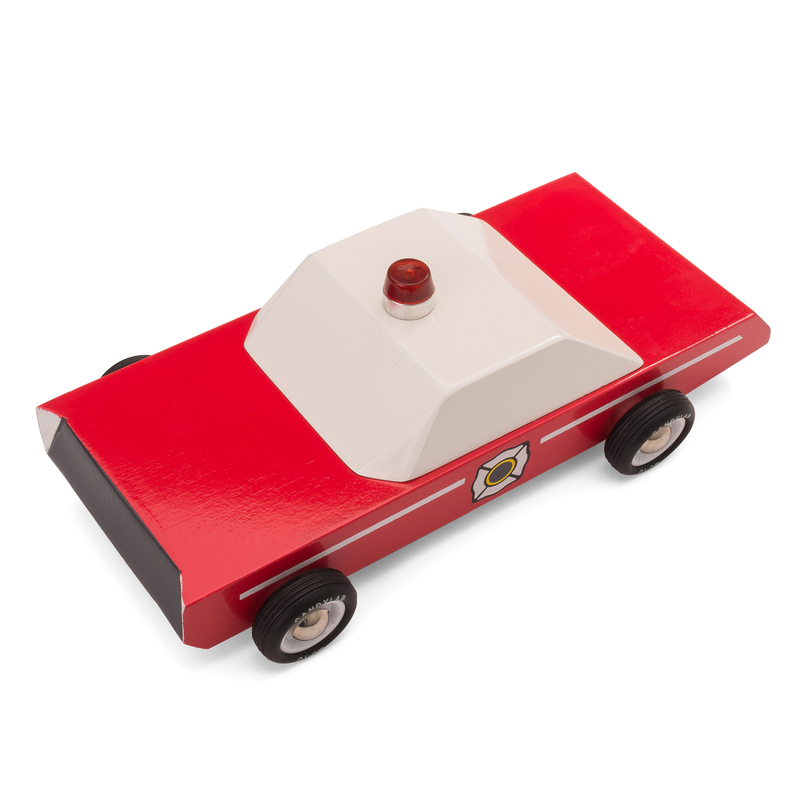 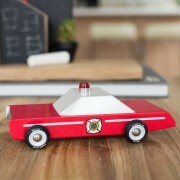 A beloved classic vintage toy, the ‘chief is a throwback to simpler times. 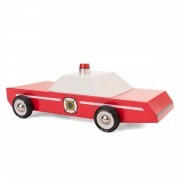 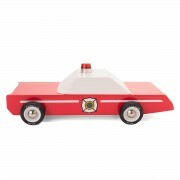 It sports a bright red coat, carries a giant roof light and inspires selfless heroism.